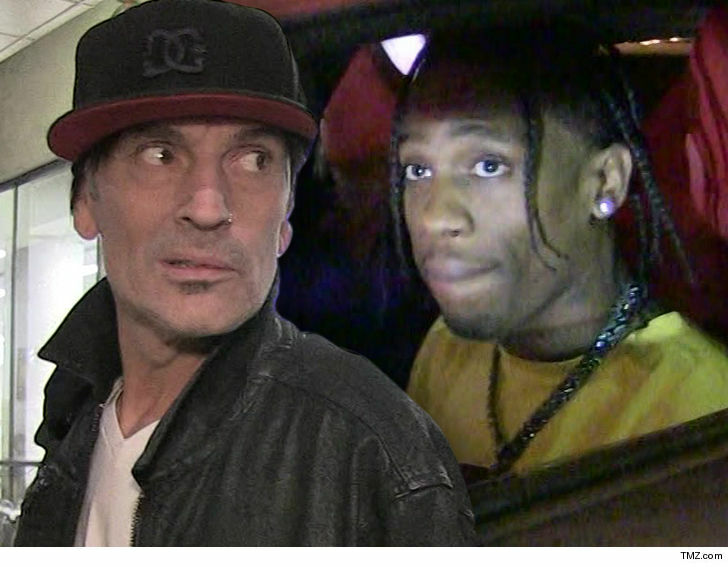 Travis Scott Fires Back at Tommy Lee Loop Design Isn't Even Yours!!! 1:29 PM PT -- Tommy just fired back by saying, "And the plot thickens! After I and our production crew created the 360 and Crüecify, We hired a company called SGPS in Las Vegas to create it. WELLLLL GUESS WHO'S DOING TRAVIS'S SET DESIGN???? F**king SGPS! So all u motha****** tellin me I'm not right can f**k off." 11:50 AM PT -- Travis' attorney, Laurie L. Soriano, tells us, "Tommy didn’t invent the concept of a roller coaster on stage and there’s no legal basis for his accusatory outburst. The actual creator and owner of the system has granted Travis all rights to use that equipment to complement his original stage design." 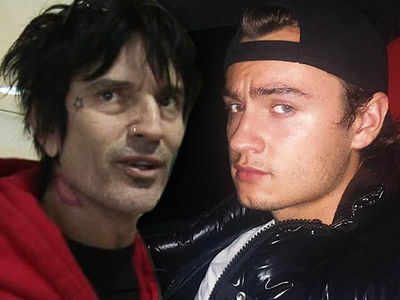 Tommy Lee has unleashed an all-out assault on Travis Scott ... accusing the rapper of jacking Tommy's famous 360-degree loop stage design. 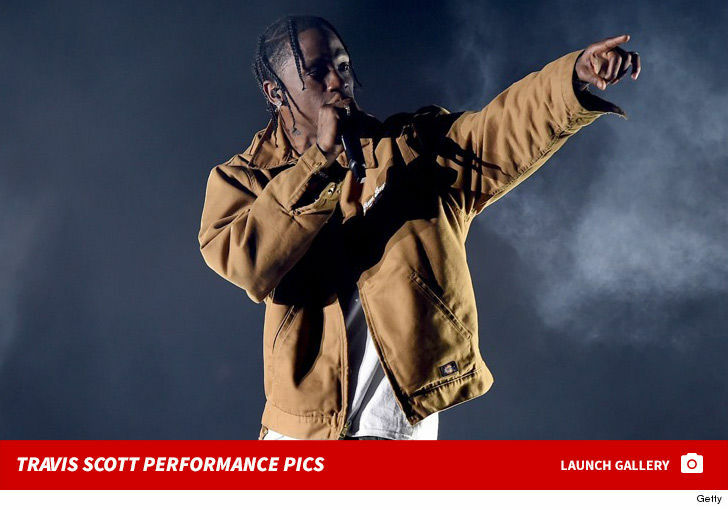 Travis is in the middle of his Astroworld Tour -- accompanied by baby mama Kylie Jenner and daughter Stormi -- and during the show, there's a part where he straps into a chair like an amusement park ride and completes a 360-degree loop. Back in 2011, Tommy also did a 360-degree loop, strapped into his drum set ... and clearly saw a video of Travis' show Wednesday night. In a flurry of posts ripping Travis, Tommy says, "Just found out this f**king idiot @travisscott or someone on his team ripped off the 360 AND The Cruecifly! WTF!! Get an original idea bro ..."
The Cruecifly was a floating structure over the crowd Tommy used to go over the audience. Travis also has something similar on Astroworld that was created to look like a roller coaster and takes him from one stage to another. Kylie Jenner got a chance to ride Travis' roller coaster design Wednesday night at MSG. 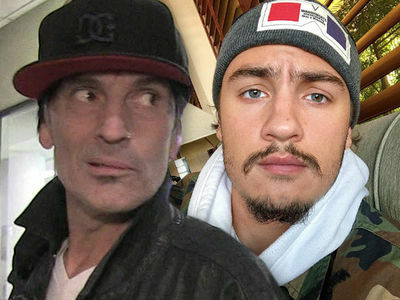 Tommy continued, "I get copying is a form of flattery, but this is just straight ripping off my s**t." He also advised Travis to "lawyer up!" Interestingly enough, Tommy was taken to court in 2014 over the 360-degree drum set by an engineer who accused him of stealing the idea. Lee won that case, ruling the drums were based on Tommy's original concept.